Staying on the cutting edge of medical device design takes attention to the latest trends and technological leaps. Each year, the top names in new product design and innovation, as well as an assortment of up-and-comers in the field, gather at conferences to network and show off their latest advancements. 2017 brings several major events on the West Coast, each spotlighting some of the best work happening today. "The BIO Convention will host over 16,000 representatives from biotechnology and pharmaceuticals." From June 19-22, the Biotechnology Innovation Organization will host over 16,000 representatives from the biotechnology and pharmaceutical industries in San Diego. Attendees operate in a wide variety of areas, such as drug discovery, biomanufacturing, genomics, biofuels, cell therapy and nanotechnology, as well as medical devices and diagnostics. The event will include chances to schedule numerous partnering meetings, plus exhibitors and speakers. Companies can register to present their work, attracting interest from potential partners and sponsors. Scheduled speakers include renowned experts and business leaders like Evolva CEO David Goldsmith, the Director of Reproductive Physiology from the San Diego Zoo's Institute for Conservation Research Barbara Henshaw, and Eric Topol of the Scripps Research Institute. The keynote addresses will be given by David Cameron, former prime minister of the UK, and patient advocate Ann Romney. Attendees can participate in hands-on workshops featuring demos of new products. The keynote sessions will include a panel on building the partner ecosystem necessary to create a solution for the Internet of Things. In addition, Ori Inbar, CEO of AugmentedReality.org, and Dr. Alexander Selhke, a postdoctoral research fellow at NASA's Ames Research Center, will each address the convention. October 30-31 brings the largest medical technology conference in southern California. Representatives from medical device manufacturers, investors and researchers come together to discuss the latest innovations and share strategic insights. The program includes panels with speakers from a huge range of companies like IBM, GE, Kia Motors and Indiegogo. Gary Sorrentino, Chief Technology Officer at JP Morgan, will give a keynote address on corporate responsibility for protecting consumers. Salesforce Vice President for Strategic Research Peter Coffee is scheduled to discuss how to create a company culture of innovation. Finally, David Meltzer, CEO of Sports 1 Marketing, will talk about how to take a great idea to market, joined by special guests from the world of professional sports. Experts in the field can provide fresh insights into developing innovative medical products. This conference, running December 6-7, is devoted to pushing forward the next steps in medical technology through training opportunities for attendees and networking among the leaders in the field. Organizers expect more than 2,600 professionals at the conference and over 300 exhibitors. Sessions focus on topics like product development, mobile health technology, data security and IoT. Attendees are free to move between two tracks intended to help them move more effectively through the product development process, with one on overcoming barriers to market entry and the other on integrating devices into an ecosystem. Speakers are scheduled from GE, Johnson & Johnson, Avaya, Cedar Sinai Medical Center and University of California Davis Health System. Building the devices that empower health care is fast-moving field, and companies hoping to stand at the forefront of medical industrial design need to be aware of what's coming next. 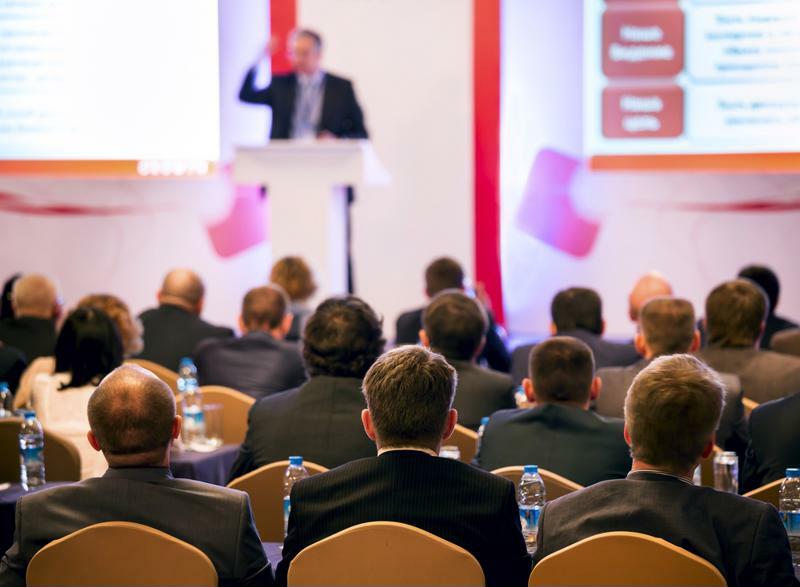 Attending conferences is a way to garner interest from investors in your organization's current projects, network with potential partners, expand on your knowledge in conference or training sessions and peek at what products your competitors are bringing to market. Taking full advantage of these events is a prudent move for leaders who want to ensure they are producing advanced medical products that represent the best, most up-to-date thinking in the field.